In collaboration with Christy Turlington Burns’ organization Every Mother Counts, Rebecca Minkoff introduces the newest addition to her stylish must-haves for chic moms: The “Bowie” baby bag. “One woman dies every two minutes as a result of complications during pregnancy and childbirth. As a mother of two, I wanted to raise awareness around this important issue.” Minkoff said of the collaboration with Every Mother Counts. 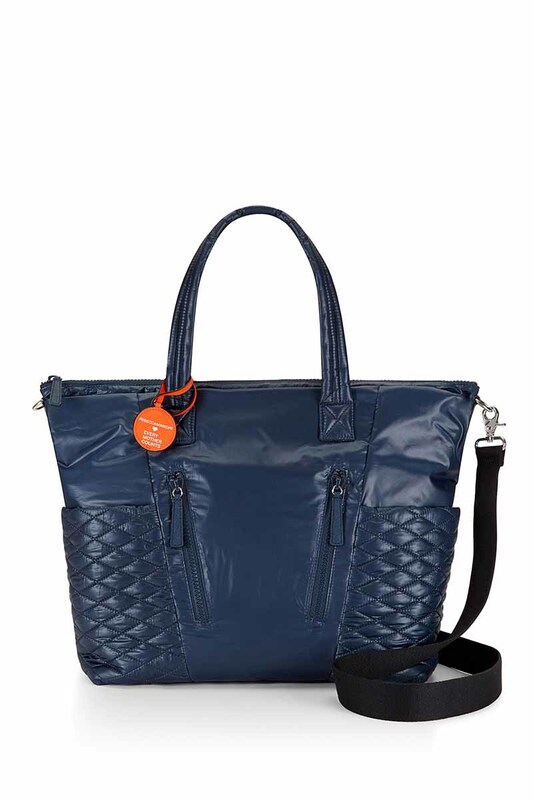 The navy nylon baby bag features an orange lining and a hangtag with the Every Mother Counts logo. The bag, named after Rebecca’s daughter Bowie is available at Rebeccaminkoff.com and Rebecca Minkoff stores in NYC and San Francisco. The bag retails for $195 and a portion of the proceeds goes directly back to Every Mother Counts.